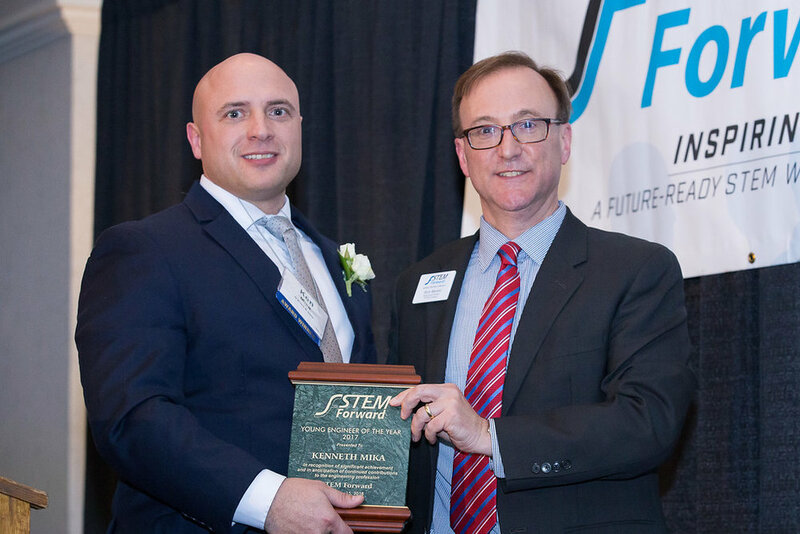 STEM Forward's Engineers Week Banquet is a celebration of excellence in STEM as the Engineer of the Year, Young Engineer of the Year, and Spirit of STEM Awards are presented. Held annually in February in conjunction with National Engineers Week, this banquet also features an outstanding STEM keynote speaker and local students. Thank you to everyone who attended this year's event at the Italian Community Center on Feb. 15, 2018! 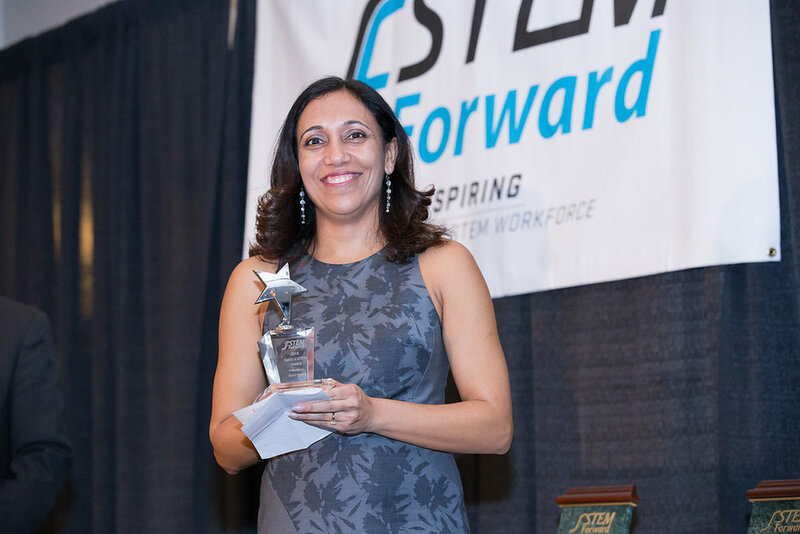 STEM Forward is pleased to welcome Sujeet Chand, Senior Vice President and Information Officer at Rockwell Automation, as our 2018 keynote speaker! 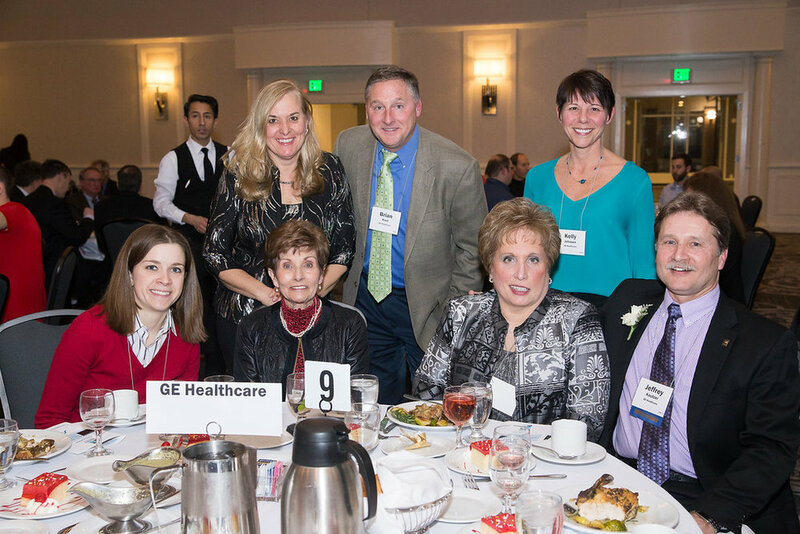 For more than 3 decades, Jeff Kautzer has worked to develop world-class diagnostic medical imaging systems, including x-ray fluoroscopy, radiography, mammography and angiography systems, and computed tomography imagers. Kautzer was a key contributor in the development and productization of flat panel x-ray detection technology and led the technical development of several first industry products in these areas including the Revolution XQ/I, a governor's new product award winner. He pioneered detector innovations in system compatibility with RF ablation and navigation systems commonly used today. Jeff also led the development of the detector technology for the industry’s first volume 64 slice CT system. His more recent work in CT has been to successfully lead and productize revolutionary, highly integrated detection technology providing full 256 slice organ coverage in a single rotation while at unprecedented low-dose levels. Kautzer has been a prolific inventor for GE, contributing to 29 U.S. patents, including key innovations in semiconductor detection technology, system architecture and control, and advanced packaging and manufacturing enabling state-of-the-art medical imaging systems, and ultra-low dose CT. Since 2009 Jeff has championed and actively lead GE Healthcare’s global Electrical and Electronics Technology Council providing a conduit and forum for improving electrical engineering across more than 1000 global engineers through standards, tools, processes, training, reviews and knowledge sharing. 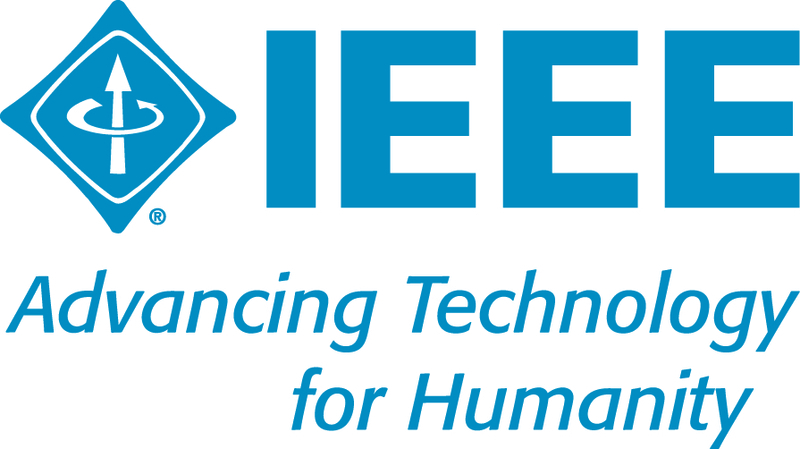 Jeff is a certified 6 sigma master black belt as well as a senior member of the IEEE. 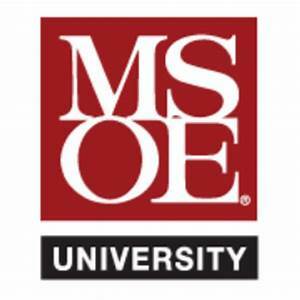 As an Adjunct Professor at the University of Wisconsin-Milwaukee (UWM) in the Department of Electrical Engineering, he developed and teaches the EE capstone electronic design course providing key transitional exposure to senior students, including standards, regulatory compliance, electromagnetic compatibility, reliability, manufacturing and sustainability. Kautzer has been an active driver and participant in developing the GEHC-UWM Center for Advanced Computational Imaging (CACI, and more recently, the newly formed UWM Center for Advanced Embedded Systems (CAES), including a 15-credit graduate certificate in computational imaging. He has been the recipient of numerous managerial awards including a president’s award at GEHC. Ken Mika is a true believer in giving back to the community and paying it forward. He has made it a life goal to give back whenever he can through professional societies, food and toy drives at offices and project sites, and cleaning up parks. Mika’s life, education, and working experience began in Milwaukee, where he attended high school. He then pursued a degree in civil engineering from the University of Wisconsin-Platteville. Upon graduating, he started his career at his current firm, Natural Resource Technology, Inc., now O’Brien & Gere, in Milwaukee, WI. Mika was asked to temporarily relocate to central Florida for two years for a large environmental remediation project. While in Florida, Mika reached out to the ASCE East Central Florida Younger Members Forum to participate in their group. He helped with outreach activities at the local Ronald McDonald House, Toys for Tots Drives, and was on the Planning Committee for the Central Florida YMF Field Trip for local college students. Upon his return to Milwaukee, Mika joined the ASCE Southeast Branch YMG’s Board as their Vice-President and continued as President and Past-President. During his time on the YMG Board of Directors, Mika was still working as the lead field engineer and project engineer for months in various locations in Michigan and Wisconsin. Also during this time, Mika was on the 2013 Central Region Younger Member Council. For fundraising, the committee planned and executed a large-scale community STEM event, STEM Expo, to introduce STEM careers to youth in Milwaukee. STEM Expo was successful and is now held annually. 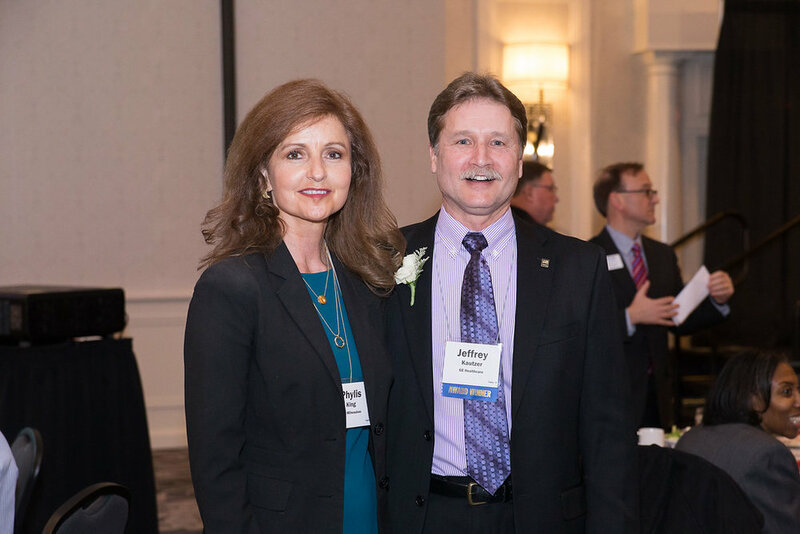 In recent years, Mika has taken on roles as Scholarship Director, President-Elect, President, and now Past-President on the ASCE Southeast Branch Board as well as Secretary and now Vice President on the Wisconsin Section Board. Mika has also led the construction quality assurance for an $80 million environmental dredging and habitat restoration project in Indiana. 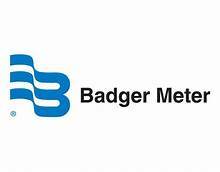 A recent project in Wisconsin has been his most challenging project to date, requiring an environmentally impacted wetland to be investigated, have a remedial design, and have the contractor begin remedial work within six months. As project manager, he worked with multiple team members from multiple disciplines to pull off the project, which was completed ahead of schedule, under budget and safely with no lost-time incidents. Also while working on field assignments around the Midwest and serving in leadership, Mika went back to school at UWP and completed his Master of Science in Engineering. Mika has attended and presented at multiple conferences all over the United States and Canada. He had the honor of being selected by ASCE to attend the Emerging Leaders Alliance Conference in 2015 and has been selected for the 2018 Legislative Fly-In in Washington D.C. to meet with elected officials. Currently, Mika is the Midwest Operations Manager for OBG, where he is tasked with managing resources and growing OBG’s industrial wastewater operation and maintenance brand. 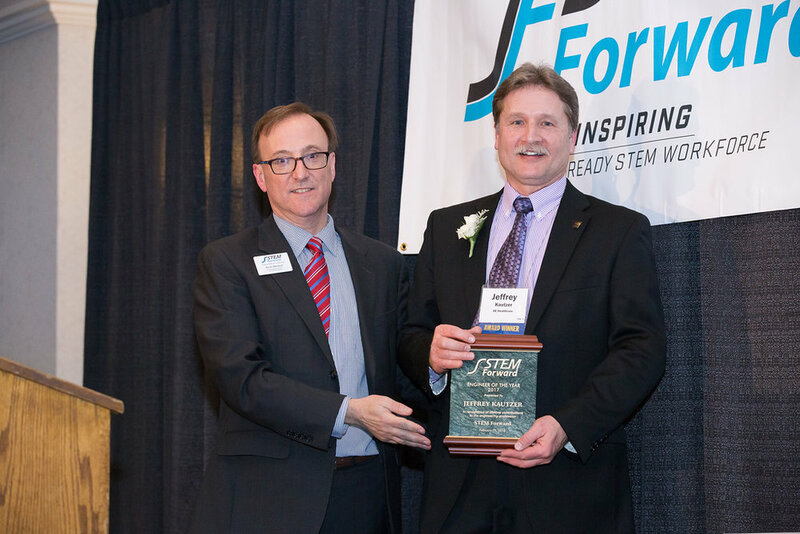 Direct Supply will be honored with the 2018 Spirit of STEM award for making a significant impact in advancing STEM education and local talent development. Each year, the company provides dozens of volunteers for a wide variety of STEM activities, serving almost 500 local K-12 students. Their efforts include developing and facilitating hands-on student STEM classroom activities, co-coordinating and presenting at Milwaukee Public Schools' Spring and Fall iFair events, and hosting the annual MPS STEM Partners Spring Showcase. Please join us in congratulating Direct Supply. This year's Spirit of STEM award will be presented by We Energies. Attention Media: Click the button below to read a press release about this year's event! Click here to read about the 2017 event.